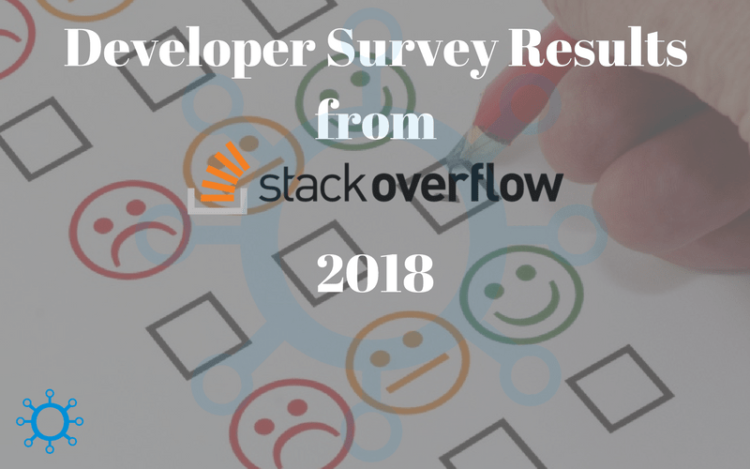 In the year 2018 and month of January almost ~100,000 developers participated in yearly survey done by stackoverflow. This survey included questions from different technical perspectives like how the developers are learning new technologies, what they are doing to build new careers or grow in their existing careers. Also it included what are the most preferred tools by the developers and what they are looking in their jobs. A few key outcomes of this survey are listed below. Later we will see results from different segments of the survey. The developers are very much supporting Artificial Intelligence and they are welcoming it with open arms. Although the dangers caused by AI is still a topic of huge debate. Python is rising in ranks continuously in programming languages. Last year Python surpassed PHP in popularity and this year it surpassed C#. Some of the most important trends in software industry are Devops and Machine Learning. Languages, Frameworks, tools, to work with Devops and Machine learning are on a rise. Also, it has to be noted that people working in these technologies are getting some of the highest paid jobs. Monthly around ~50,000,000 people visit stack overflow website. Out of these almost 21,000,000 developers are professionals. ~50% of the professional developers contribute to the open source community. A lot of developers code outside of their normal jobs. We found out that this number of almost ~80% of the total developers out there. Similar to the last year MySQL and SQL server are most used Databases. Globally developers working with F#, Ocaml, Groovy or Clojure are reported to receive the highest compensations. Their average salaries going somewhere around USD 70,000. 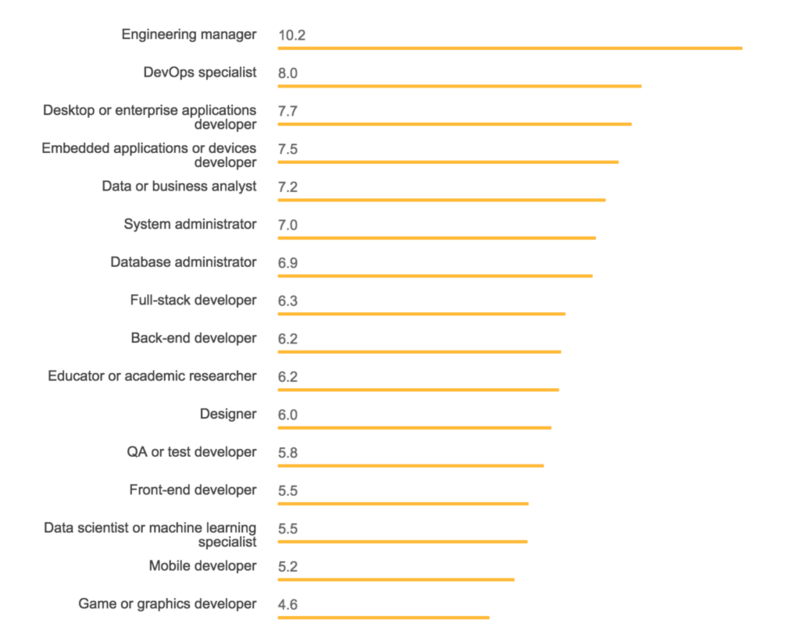 Developers working with Scala and Erlang are among the highest paid developers in the United States. In the below diagram we see that web development constitutes to a major portion of software development. And this is correlated to SQL or other Microsoft services. Over 90% of the developers are employed right now including part time developers. This Survey was taken between 8 to 28 January. On an average respondents took around 25 minutes to fill the survey. A lot of questions were only presented to respondents depending on their previous answers. Wondering what are the best programming languages to learn. See this. Omniceps is a Digital Technology Services company with over 5+ years of experience in delivering Internet and Mobile Solutions to Enterprises, through Agile Development and Application Management methodologies.